Spring Time Is New Purse Time! 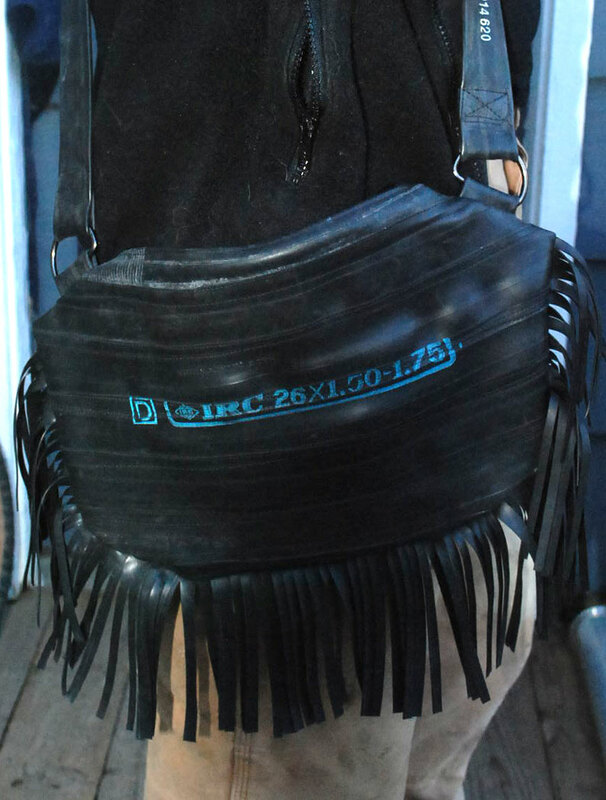 I just created this fringed inner tube purse last Sunday. I love how it turned out! 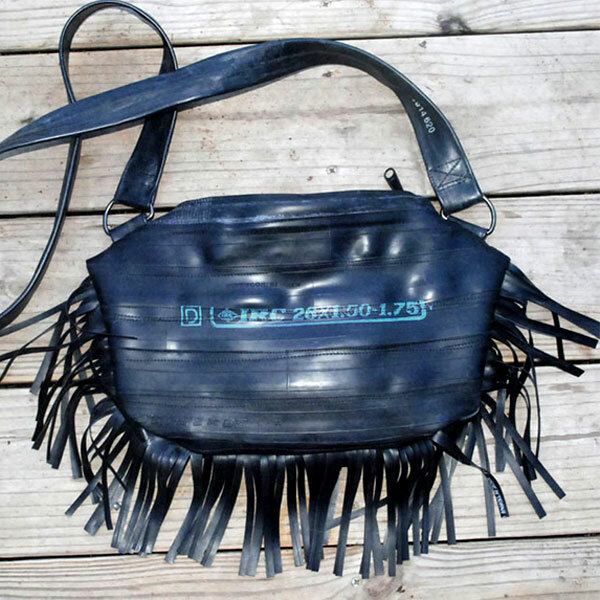 I call it the Fringe Benefits Purse. I love the fringe. 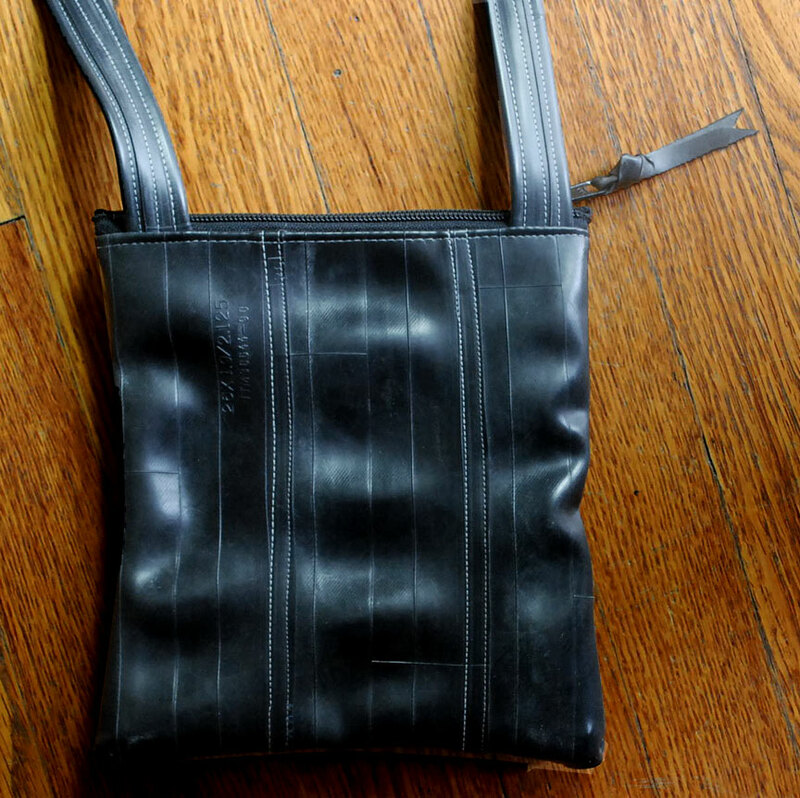 I’d been wanting to play around with it for some time and it works great for this bag. 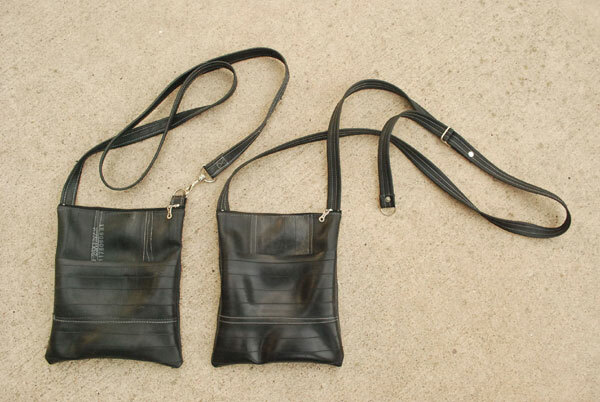 Made of recycled tubes, this purse is super comfortable and made to be worn across your body, leaving you hands free to do whatever it is you do when you need to have all your stuff on you. 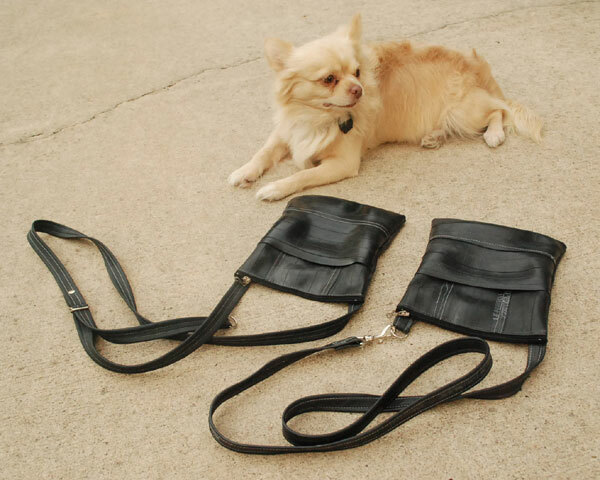 It lays flat against your hip, making it easy to walk with and it doesn’t make you look fat. It’s unlined and here are the deets, as the young kids like to say. I think. I have no idea since I don’t have kids. Word. 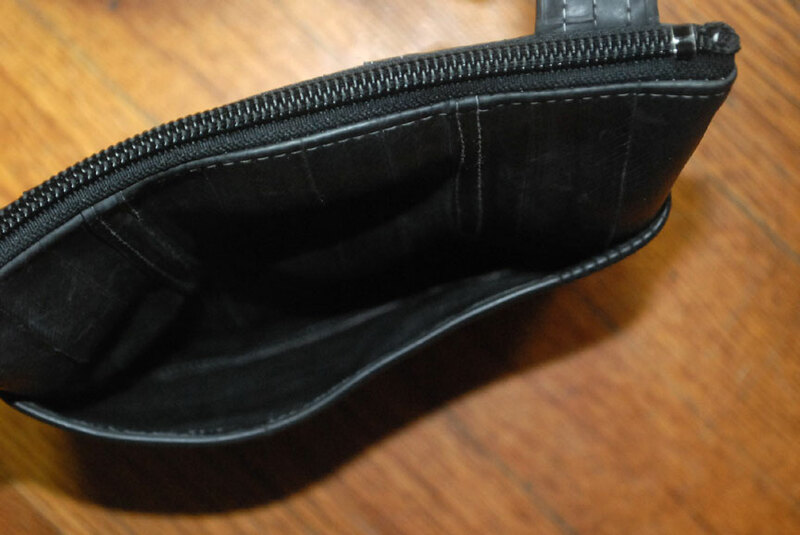 I reinforced the strap internally with recycled (oh yes, I hoard) plastic strapping for strength and now it won’t stretch which will keep your wallet, phone, lip gloss, keys, iPod, cosmetics, comb, brush, patch kit, bounce free! This was sold on my Etsy store. Check it out! Heart me if you like it! 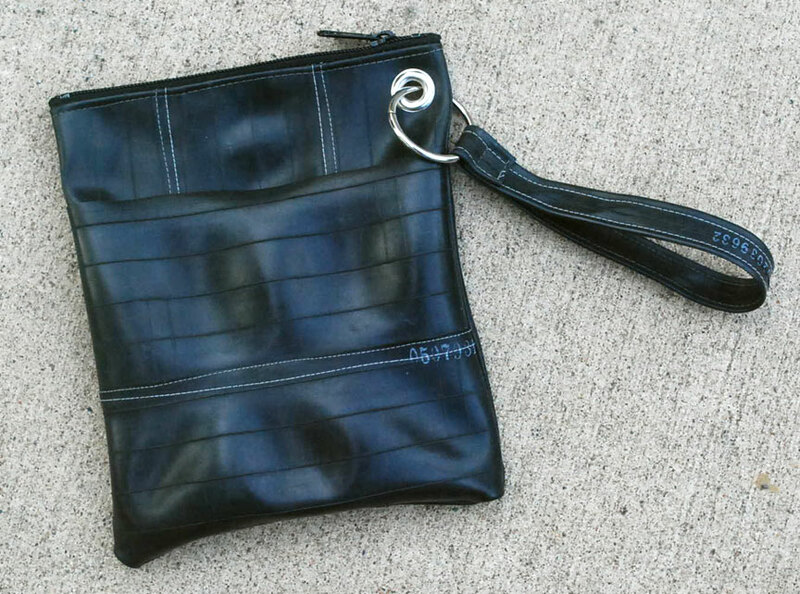 Update: This purse now lives in Florence, Italy!!!! I envy this purse. I sold it 2/2011 to a wonderful Italian photographer. I’m hoping she’ll send me photos of it. Finally I get the photos up! 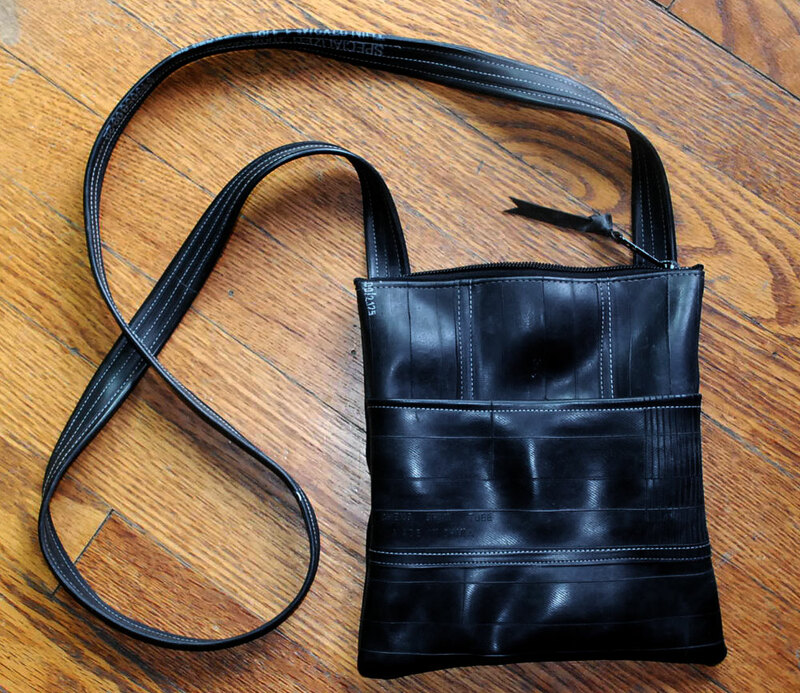 Here’s the new purse. I thought it looked quite comfortable out in the snow…although I wasn’t! 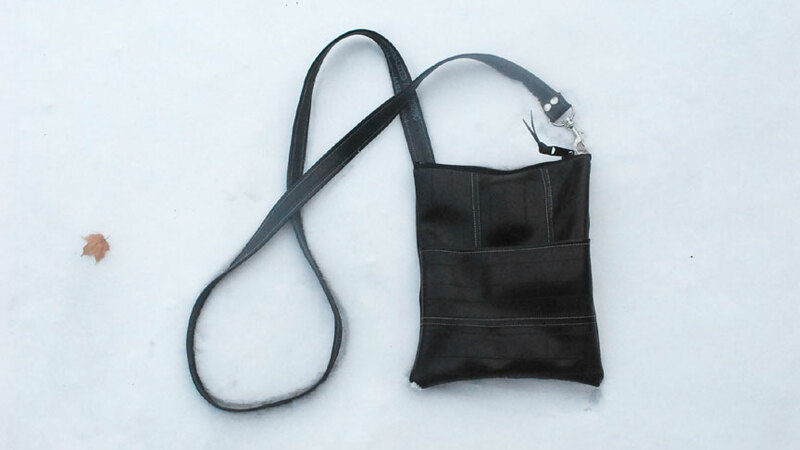 Inner tube purse in snowy environment! It’s 8.5 inches tall by 7 inches wide. 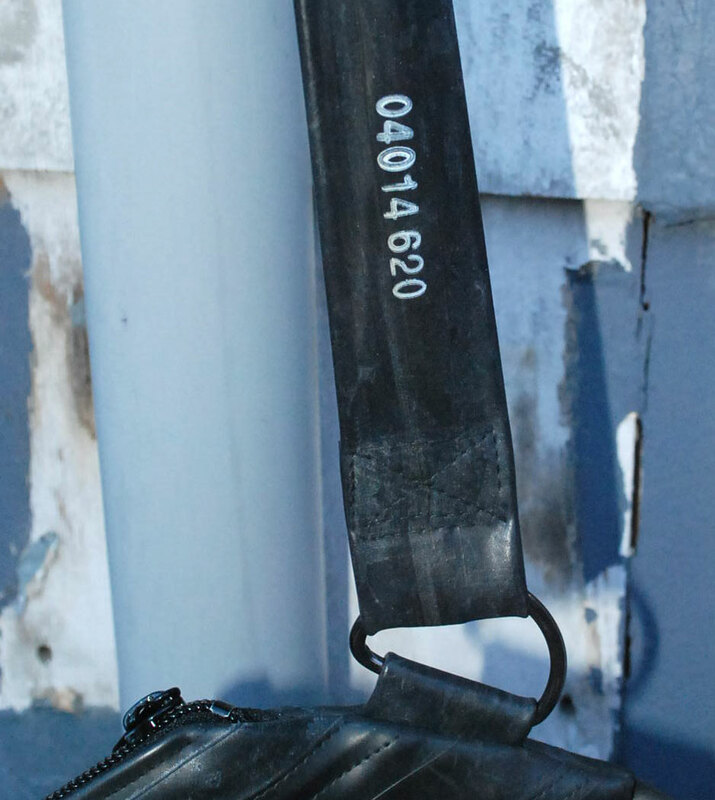 The strap is 55 inches long. 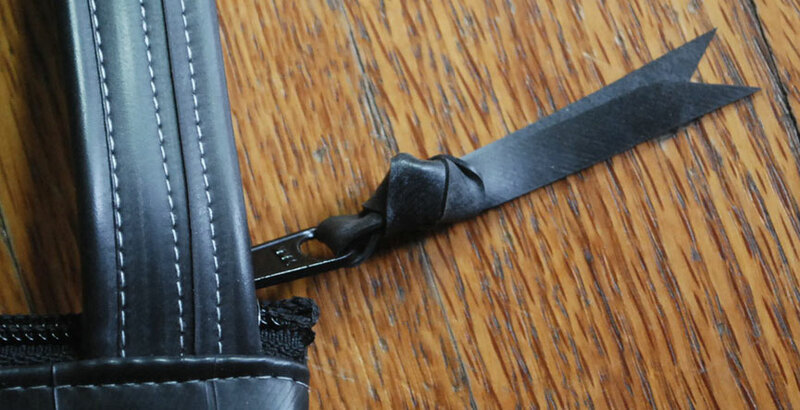 The strap can be un-clipped from the D-ring so you can put your keys on there or thread it through your epaulet….if you have one. 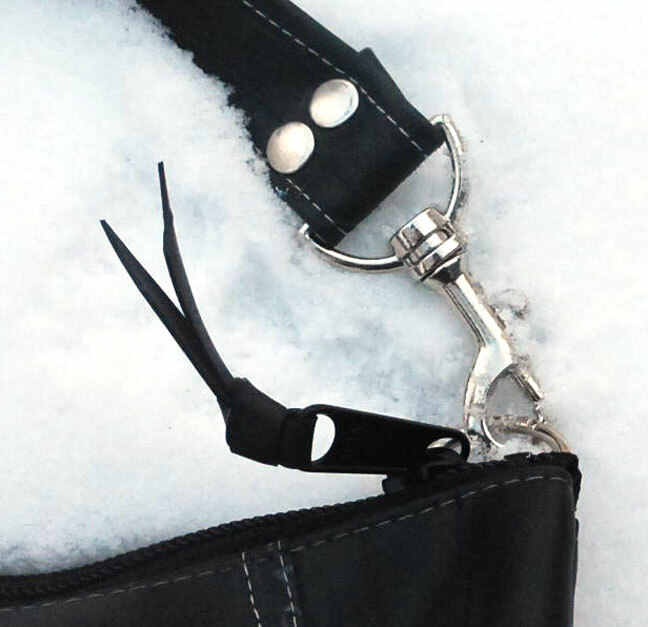 The strap is longer than I usually make , which is too long for me, (I’m 5 foot 2.5 inches) but just right for a taller or bigger gal – especially over a coat. 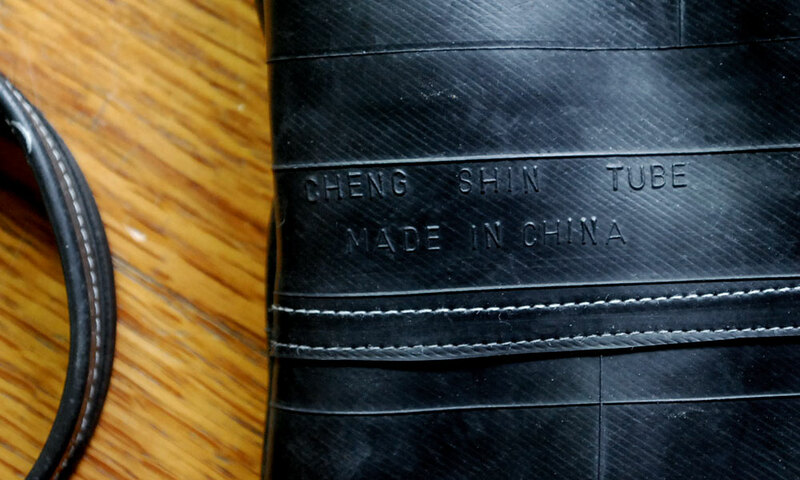 The other end of the strap is sewn into the seam. This strap is NOT adjustable. Update: I’ve re-listed a very similar style on Etsy. It’s made to order. 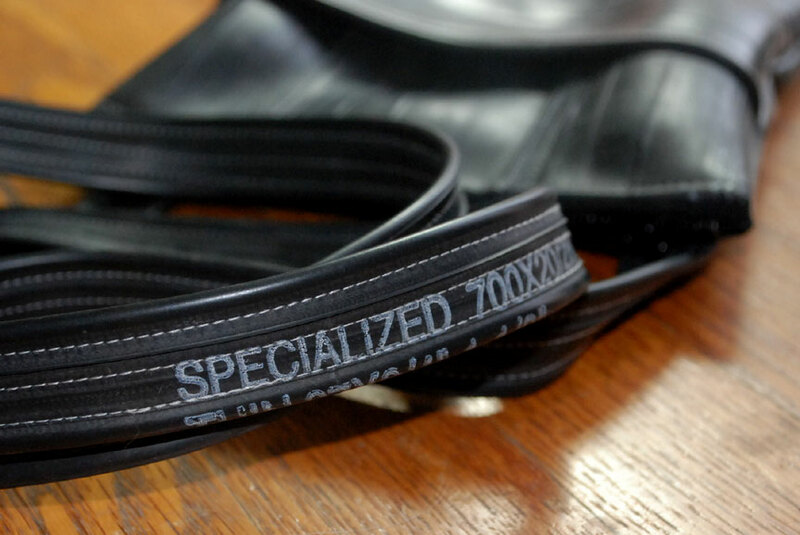 Email me if you want a shorter strap. I can do that for you.